My daughter’s birth . . . or mouth-watering barbecue? Most guys will do almost anything to be present at the birth of their first child. But me? Well, I almost missed my daughter being born so that I could eat barbecue. I was faced with a choice – should I attend the birth of my daughter, who has brightened my life every day . . .
Ok, I’ll admit, it is delicious, mouth-watering, lick-your-fingers good barbecue. But still . . . The due date for my daughter was originally May 8, 20 years ago, but as that day approached, the doctor thought it would probably be a little later. May 8 was a Saturday that year. And since it was unlikely our daughter would be born, I had made some plans. I had been practice teaching that year in Hot Springs, which was not the town we were living in. I had a really good semester, and I was going to meet a couple of students and their parents at McClard’s, a famous barbecue place in the area. And it’s really good barbecue. 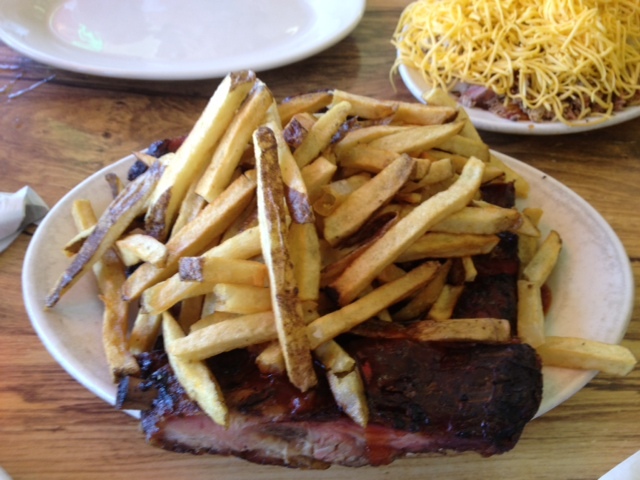 A plate of ribs, smothered with ribs piled high on the plate. I was excited.
. . . or enjoy delicious, mouth-watering barbecued ribs? So we drove to the hospital, checked in, arrived at our room, . . . and waited. Hey, did we mention my wife is having a baby? But then a nurse came by and checked her out, and the thinking was, nope, no baby yet. Not for a while. Maybe not even today. They would watch her for a bit, just monitor and such (maybe even use the machine that goes “ping”). But also, just to make absolutely, positively sure, they might (just maybe) get the doctor to come by and take a look. So here it was, mid-morning. I was supposed to meet for lunch at noon. 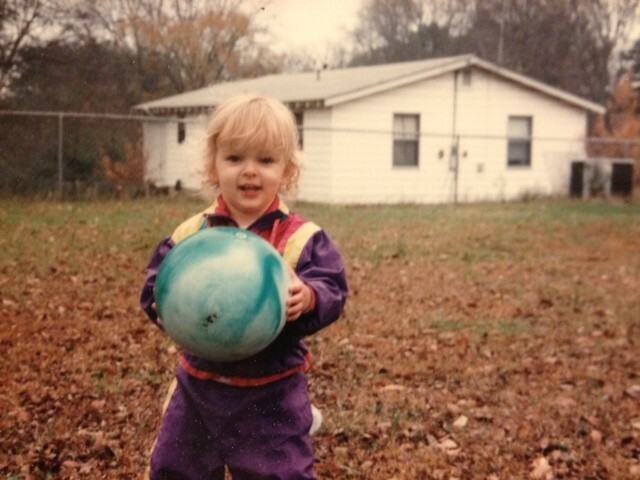 This was before the days of internet and email and cell phones (heck, I could barely afford a home phone at the time!). So if I was going to go, I needed to leave soon. The nurses thought it would be ok. Family thought it would probably be ok. So I was juuuusssst about to leave, when I thought, well, maybe I better try to stick around and see what the doctor said. Just in case. It would take me about 45 minutes to get to the restaurant, and I decided I would leave at 11. So I made a couple of calls from a pay phone – the barbecue was postponed. And I did the responsible thing – I stuck around for my daughter’s birth. It was a great day for us, and my daughter has brought me great joy over the years. At least I think I did the right thing. Did I mention that it was REALLY delicious barbecue?